Built in 1982, any Sundance townhomes for sale or condo will be more than 1,000 square feet, but two are larger and come with a garage and basement. The Sundance condos are located next to other housing development that are similar, and with an equally small number of units. 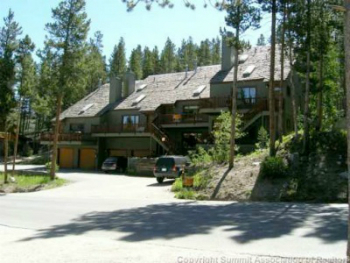 Sundance has an open floorplan with windows floor to ceiling that offer a nice view of the Breckenridge Ski Resort. Because the living room faces west, and they are located near the valley floor of the Blue River these homes will get long afternoon sun. Sundance Condos are just four homes located on Broken Lance Drive in the quiet Breckenridge neighborhood of Warriors Mark. Keep reading about this beautiful Breckenridge community or check out the current Sundance townhouse listings below. 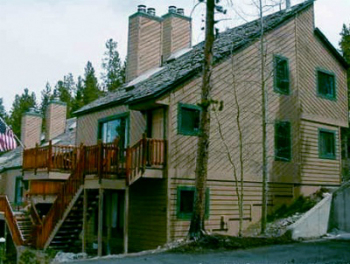 On the south side of Breckenridge, any Sundance Condo for sale will be easily accessible from the Highway 9, and particularly advantageous as a ski, or second home, for people from Colorado Springs or other points south. 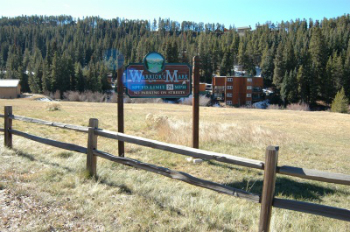 Warriors Mark has a community open space near the Blue River, and near Sundance, where fishing is permitted for residents. Size: 1020 to 1420 sq. ft. Amenities: in town, short walk to downtown, small complex, near trails, on bus route. From the southern stoplight in Breckenridge turn west on Broken Lance Dr. into Warriors Mark, drive to 736 and Sundance Condos will be on the left. Are you interested in Breckenridge real estate? We can offer you tips on how to navigate the local market. Email us or call us at (970) 453-2200.